Showing 16 articles from April 20, 2014. Winlock’s 2014 Farmer’s Market will be starting this Wednesday and vendor space is still available. Featuring produce from local growers, the Farmer’s Market, taking place from 9 a.m. to 3 p.m., is also a place to find gardening tips as well as crafts such as candles and soaps, all make locally. For more information, including how to sign up for a booth, call Jeanie Emmenegger at (360) 785-4817, or simply visit the market at the open lot on Kerron St. in Downtown Winlock. Cpl. 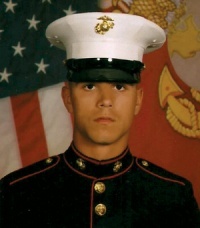 Jacob T. Allen, a 2010 graduate of Winlock High School, has returned to Camp Pendleton from his first deployment. Cpl. Allen was assigned to the 13th Marine Expeditionary Unit (MEU) in August of 2013. The mission of the MEU was to provide geographic combatant commanders with a forward-deployed, rapid response force capable of conducting conventional amphibious and selected maritime special operations, at night or under adverse weather conditions from the sea, by surface and/or by air under communications and electronic restrictions. The Toledo School District has said they are entertaining the option of leasing the building currently used by VFW Post 3429 to the Toledo Lions Club, as the VFW is making plans to move out at the end of May. Post 3429 had contacted the district April 1 to inform them the post would be dissolving May 31, after which time ownership of the building would revert back to the district, from whom the VFW acquired the property in 1947 through a warranty deed. The Winlock and Toledo Schools District have been recognized by the Washington State Office of the Superintendent of Public Instruction for educational achievement during the 2013-2014 school year. Announced April 14, the awards were given to qualifying schools in six different categories and are meant to uplift and single out schools making outstanding efforts both among students and staff. 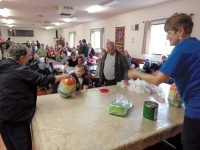 Member of the Vader Lions Club made the most of a rainy Saturday and held their neighborhood Easter get-together at the Lions Hall. Snacks and Easter eggs were made available, while special Easter baskets were raffled off. The event, intended for families with grade school children, would have been held in the field by the post office, had it now been for the rain. The Winlock School District has announced their intent to seek a new elementary school principal after budget cuts prompted them to eliminate the position last year. Announced during the April 16 District Board meeting, Superintendent Shannon Criss, who has been acting as elementary school principal in the interim, said it has become necessary to fill the position and it is the district’s intent to soon begin soliciting applications. 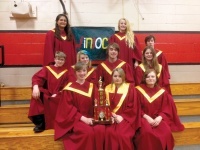 Students in the Winlock High Shcool choir program won first place in the Small Schools Division at the Massed Choir Festival April 16 in Tenino. One of multiple annual gatherings the choir participates in, the Massed Choir Festival features competitions in the morning as well as a collective performance with all schools in the evening, which this year included students from Winlock, Tenino, Napavine, Pe Ell, Toledo, Rochester, Pope John Paul in Lacey, and Onalaska. This week marks 10 years since my husband and I embarked upon the last adventure we would share together: We moved to Ryderwood, Washington from Princess Anne, Maryland. Put another way, we moved from the end of one dead-end State Highway to another. Sandra says: A reminder, as people get into their Spring cleaning - Toledo Senior Center is collecting good used items for our Second Time Around Sale during Cheese Days 2014. Remember: one person's trash is another person's treasure. Contact diana.haug@lewiscountywa.gov or (360) 864-2112. Tuesday Instructor Paula Raupp will begin a 5-week Quilted Purse Class 1:00-3:30 p.m. at Toledo Senior Center. Cost $30. For info, call her at (360) 864-4901. May Day is almost here, and there is still time to become involved as a vendor, volunteer or parade entrant. For those who missed the news, this year’s theme is "A Blooming Good Time in Vader," and organizer Janet Charlton is leading the way to help make sure this year’s festival goes off without a hitch. Currently needed for the festival are donations of cakes for the cake walk, as well as individuals to help with setup and takedown of the carnival games and other activities. It has been announced Andy Wilson will be this year’s grand marshal, while Steve Krohn and Wanda Smith will be May Day kind and queen (an admitted change from tradition but not unheard of in years past). For a complete listing of May Day schedules and events, look in the next issue of Town Crier. For more info, call Charlton at (360) 295-3011. Egg Day is coming in just a few months and boy do we enjoy our Egg Days. I thought it was time to give a little history lesson on the egg as well. I always enjoyed being from the town of the Worlds Largest Egg. One Day I was in the Denver Airport and some of the people I worked with knew I was from Winlock and proud of it. Next thing I know they are running up to me telling me to come see this map, of course I was thinking “What is so important about this map?” Little did I know there in the Denver Airport was a big egg next to Winlock and it said “Worlds Largest Egg”. There were only two important mentions on the map, the Washington Apple and our big egg… I was beaming, I was proud, I was from Winlock!!! The Winlock Easter Egg Hunt, which has been going on for 50 years, was once again a success. The Winlock Community Club, who sponsors this event, would like to thank all donors that supported the egg hunt. These donations allow the Easter Egg Hunt to continue. A special thanks you to Raleigh Stone, of Cedar Village IGA, for donating the eggs, to the employees of Sterling Savings Bank (now Umpqua) Joyce Taylor, Mike Voie, Sean Shannon, Chris Kambich and Tatter Pilz, for their generous donations. The Winlock School District has yet to commit to a combined or independent high school boys soccer program as members of the District Board appear split on the issue. A rundown of local games for the week of April 14. A Winlock student was arrested for destroying school property after a violent outburst at Winlock Middle School April 16, according to the Lewis County Sheriff’s Office. The student, a 15-year-old male, had allegedly attempted to spit at his teacher, but the teacher was already wearing a spit guard due to the student’s behavior in the past. After a second attempt at spitting, the student allegedly stood up and picked up his deck, causing the teacher to flee for her safety while the student threw the desk around the room an estimated 20 times. Local EMS and fire calls between April 14 and 20.